If I had only listened! Today, I have a very special guest with a lovely post. Her Mom and I have known each other for a few years now, and our friendship is a cozy one. Although we’re in touch via WhatsApp, Facebook, Texting and of course, the omnipresent phone calls, we do spend a lot of time in each other’s’ houses—sharing snacks or meals—or simply enjoying a pleasant cup of tea or coffee and chatting. Even our families are in sync with each other, and I feel blessed to enjoy their company. When I return home from traveling, I am assured of a loving welcome. On a busy day, when there’s no time to cook, I can expect a delicious dish from their house. I love my impromptu strolls and shopping around our area with her. We share plenty of laughter, stories and a warm relationship. And of course, I miss her when I don’t hear from her, or see her on a daily basis. I love her daughters and delight in our conversations and the time we spend together. Both are brilliant writers and I am always amazed at their fantastic grasp of the English language. To celebrate Children’s Day, I am thrilled to present a short essay by her younger daughter, Anjali Panchanathan. Anjali is 11 years old, wise beyond her years, and great company. She is abundantly curious about everything, and always thirsty for knowledge. She’s a talented artist, learns music and has a melodious voice. Her writing is engaging and often tinged with subtle humor. I love having her around me. I am secretly proud of her because she is kind, and not only keeps asking me what I am working on, but also follows up to check if I’ve completed it! Anju is skilled at DIY—she can come up with pretty earrings and bracelets in a jiffy. She appreciates her food, loves fruits and vegetables, has a green thumb, and is great with animals. Her cat and her birds adore her. She is a wonderful kid, and I miss her if I don’t see her for a day. I do hope to see her more often here, sharing her writing. Let’s lay out the red carpet for her! As we are growing up, there are some rules that we must follow, certain do’s and don’ts that our parents urge us to abide by. Not paying heed to one’s parents’ advice is almost a sure way for us to land in trouble. I loved to ride bicycles from the time I was a child. While the other children were struggling with tricycles, I was happily riding a bicycle with ease. As I grew, the size of my bicycle grew with me, and by the time I was 10, I was riding a full-sized bicycle! I felt thrilled to ride my new bicycle with gears. My parents cautioned me to slow down whenever I accelerated too much. Also, they didn’t allow me to ride on the main road, which was usually very heavy with traffic. So, every evening, I would ride my cycle in the side lane outside my house with eager friends watching me. They clapped and cheered as I zoomed past them riding at top gear. After riding like this for a few days, I felt the urge to try something new, and more thrilling. I tried to ride the bicycle with my hands off the handlebars. I obviously fell many times, and also got a good scolding from my mother. This deterred me from doing this stunt for a few days. But I started practising again, and one day, I felt I had mastered the art. One day, I sneaked away to the main road to show off my riding skills, away from my mother’s watchful eyes. I was enjoying my hands free riding at top speed, when suddenly, a motor bike came towards me from the opposite direction. I tried to swerve out of the way, but fell off and bruised myself badly. The other consequences of my daredevilry were a sprained foot, and a deep cut on my right hand. I had to miss school for a week, and also the chance to be selected in the football team. Wasn’t that lovely? I’d love to know what you think in the comments! Aww how sweet. So sorry you were hurt Anju! I’m glad it wasn’t too serious. I will have to have my 8 year old son read your story because he is much the confident dare devil too and tends not to listen lol. Maybe hearing it from someone who is not “old” will make him a little more cautious. Hugs to you Anju! Terrific writing. Me too! I love you both! To read this from the perspective of a 11 year old is at once heartwarming and gratifying. How clear are her thoughts and the way she expresses herself. Please tell her I really enjoyed the flow of the writing and appreciated the natural way she arrived at the lesson without any difficulty. So wonderful to see kids who write, craft and push their boundaries. I hope she continues to write for many years to come. Thank you Shailaja! I am so proud of her. I am delighted with her writing and had a tough time picking one to post today! I will show her your comment – thank you for your encouragement! Lisa@intotheglade recently posted…There is a crack in everything………..
She’s fine, Lisa! 🙂 Writing is a great exercise for children. My Mom always encouraged me to write about our trips, even our daily routine. Nice way to build vocabulary and self-expression! That’s quite the vocabulary for an 11 year old. I’m impressed. Cute story. I think we have all experienced something like that growing up. It might be a growing pain but there are sometimes that no matter how many times we are told not to do it, we have to learn the hard way for ourselves. Hindsight is always 20/20. So well written especially from someone so young. I totally agree with what she says. Haven’t we all been there? I guess some lessons are learnt first hand. Rachna Parmar recently posted…Has The ‘Child’ in Childhood Disappeared? True, Rachna! She’s one of my favorite feel-good people! Thank you for commenting! 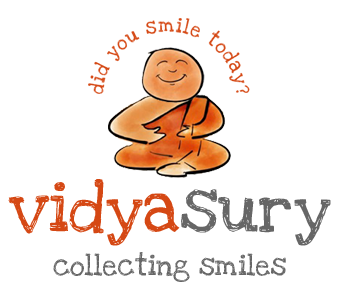 Vidya Sury recently posted…If I had only listened! It is a lovely post which inspired me to have good friendship. It reminded me one of my primary school friend we used to do the same as I read in this post. Thanks for sharing such posts. 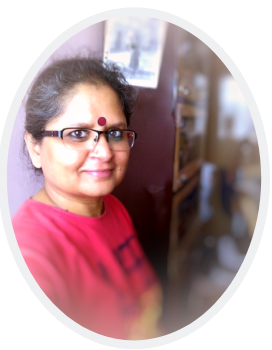 Welcome to the blogging world, Anju! And how lucky you are, to be introduced by none other than Vidya, whom we all love! I loved reading your post, Anju and I’m sorry you hurt yourself. No worries about missing the chance to be selected for the Football Team, there is always next year:) Keep being your wonderful self! Awww thank you for the love, Mayuri! And for your kind words to Anju! O ho she’s quite a writer – this little one. What coherent writing and such flow of thoughts. And that she appreciates her parents’ gyan is more than most 11 year olds will accept. Thank you Tulika! She’s amazing! This is an amazingly well written story from a young girl. Kudos to Anju for sharing her story so eloquently. Hope she is fit and fine now! So well written. Great talent there. Hope Anju wasn’t badly hurt. Thanks for sharing. Wow! First things first, Anju you write so well and I loved that you taught us a lesson about listening. Very important and we adults need to remember. Second, I am sorry you got hurt but no pain, no lesson. So keep on learning and the urge to learn. Sorry to hear that you were hurt, Anju, but you do sound like quite a character! Anju seems to be a matured and wise girl. Not every kid can express themselves through essays at this age! I am glad that the accident wasn’t a major one! Tuhin recently posted…Are you an irritating person? She is, Tuhin, and she’s very articulate. A delight to be with. Thank you for coming by!